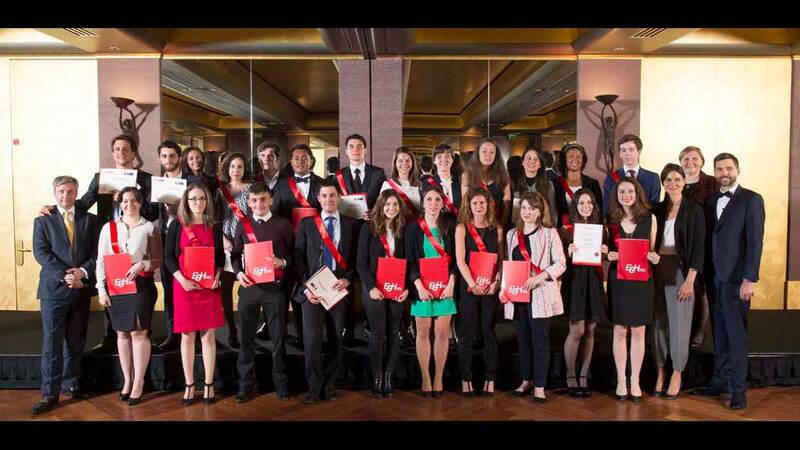 This video of the graduation has been made by our students. 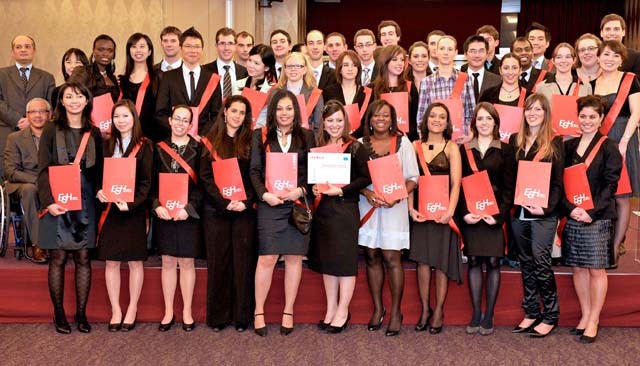 This video of the graduation has been made by students. 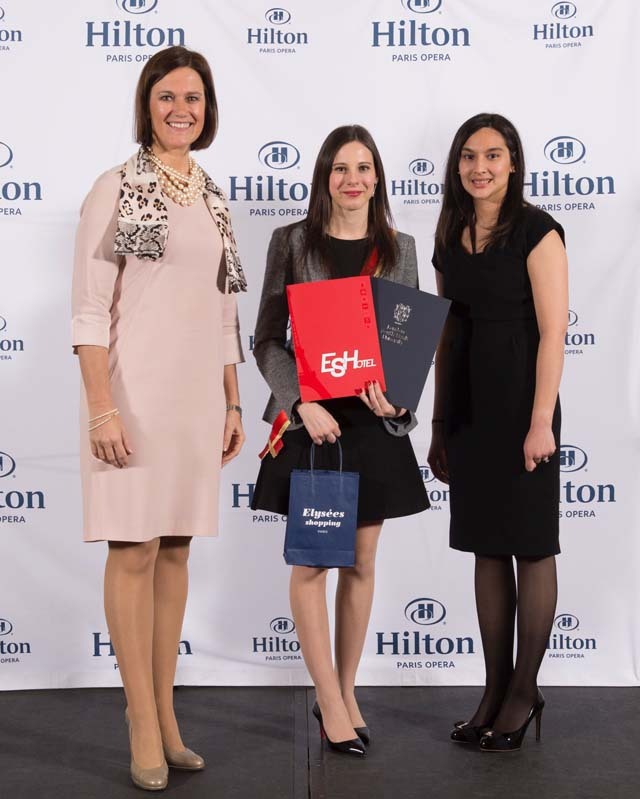 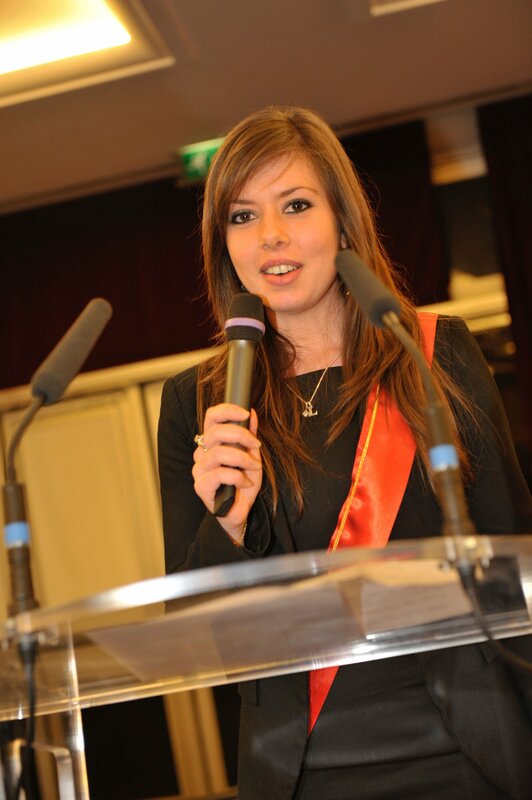 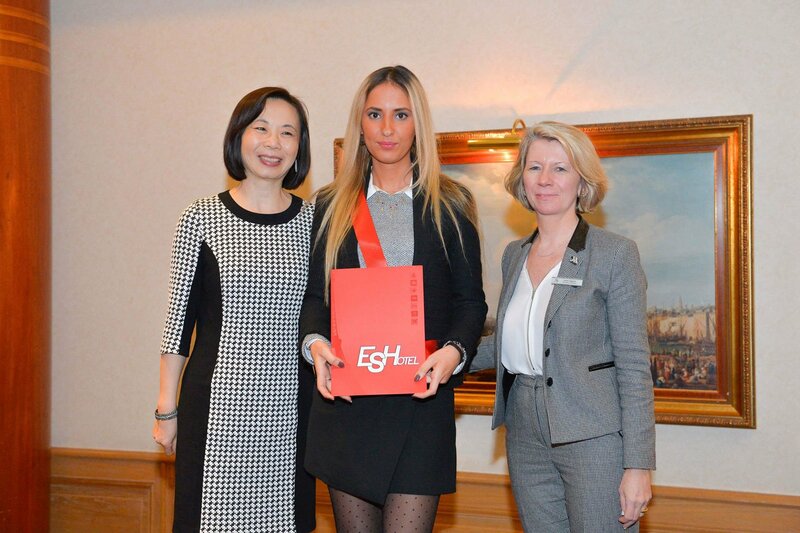 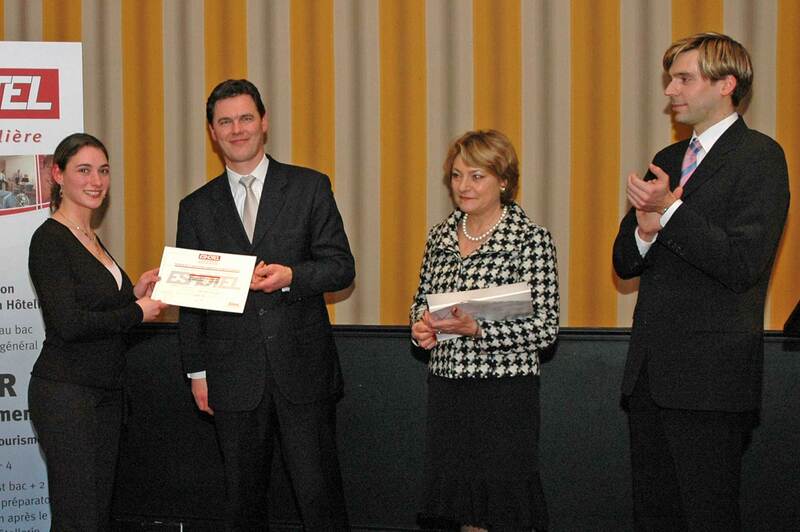 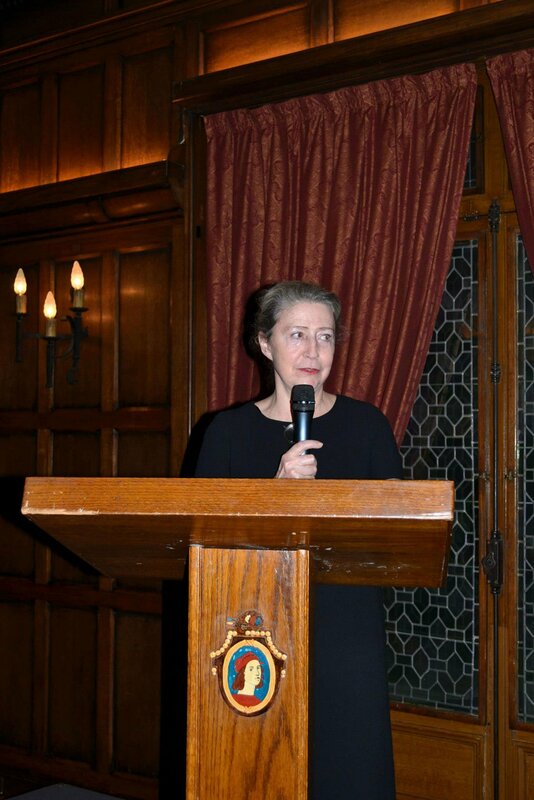 Madam Baverez, President of Hôtels Baverez (Regina Paris, Raphael and Majestic Hotel and Villa) was ESH 2012 sponsor. 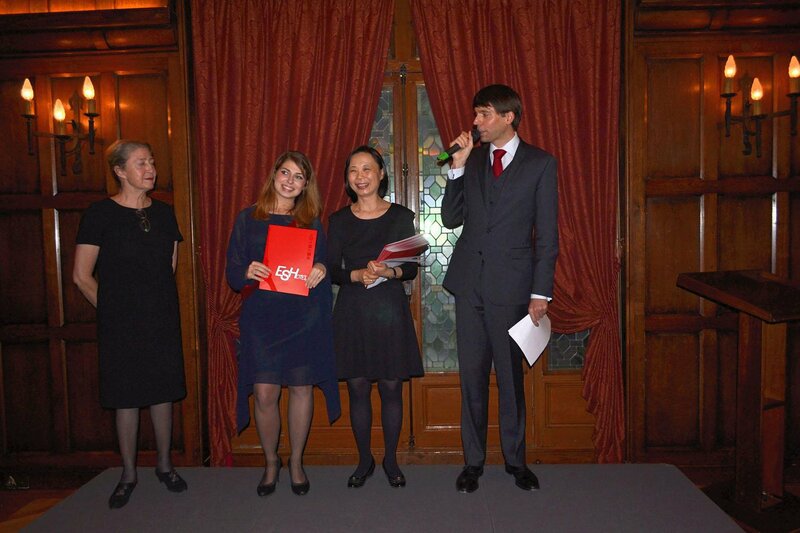 She received the students in January 2013 at Hôtel Raphaël in the sumptuous former libra- ry. Madame Baverez pointed out that, like ESH, les hôtels Baverez is a family story. The 2011 graduation was sponsored by Starwood Hotel Group represented by Philippe Orville, Area Human Resources Manager for the group. 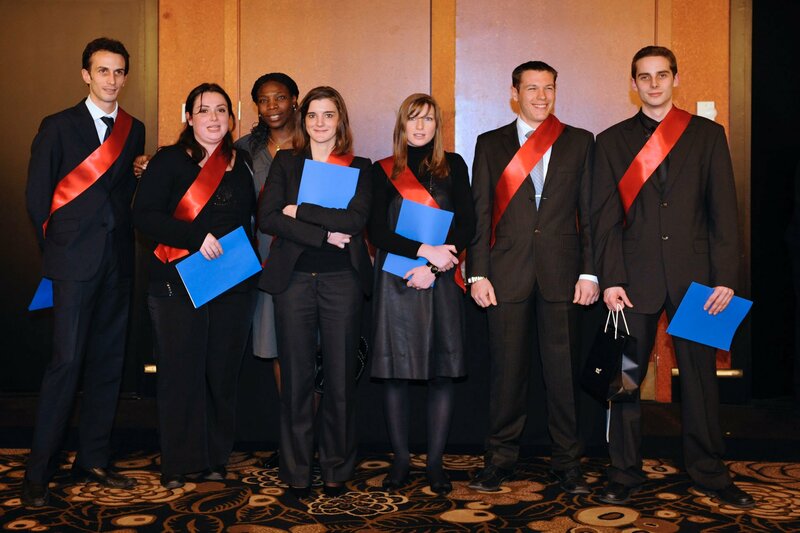 The Master's students presented their research at Park-Hyatt Paris-Vendôme in front of an exceptional jury: Franka Holtmann, GM of Le Meurice ; Michel Jauslin, Vice President for Europe, Hyatt International ; Michel Morauw, GM of Hyatt Regency Paris Madeleine ; Christophe Laure, GM of InterContinental Paris Le Grand and Philippe Orville, Area HR Manager for Starwood. 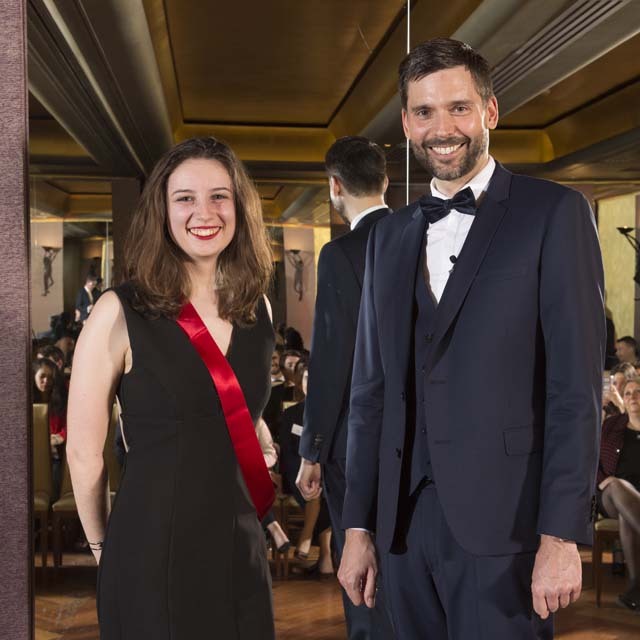 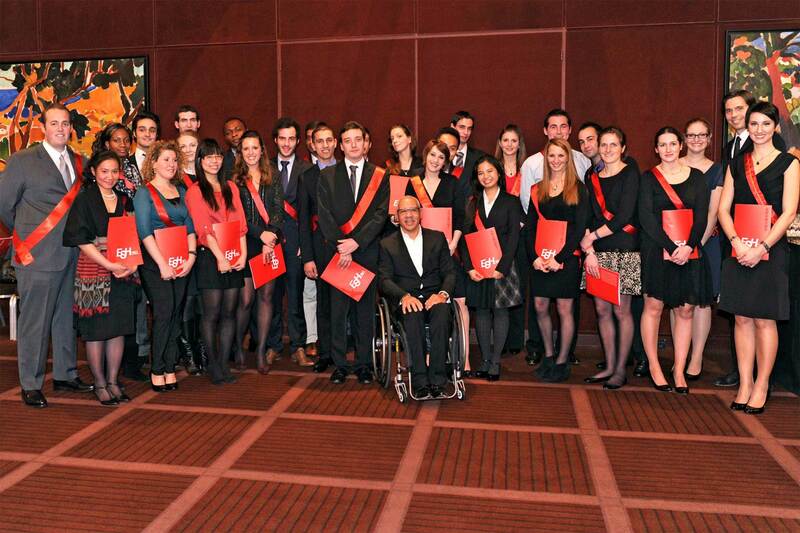 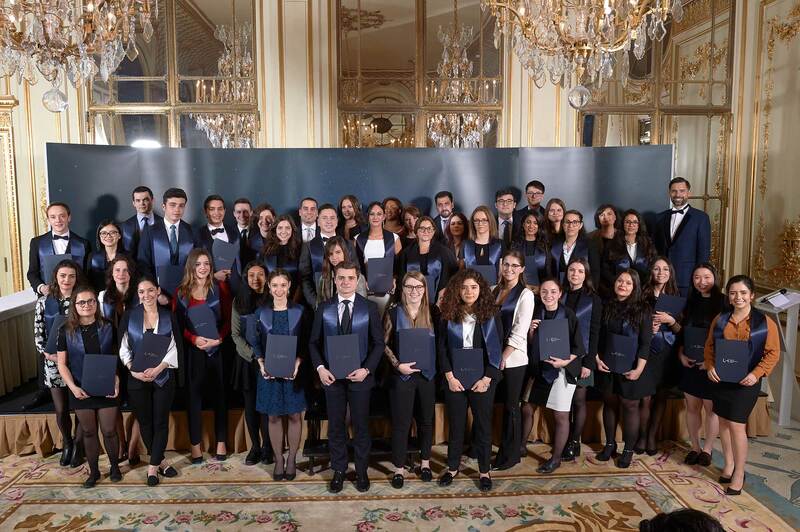 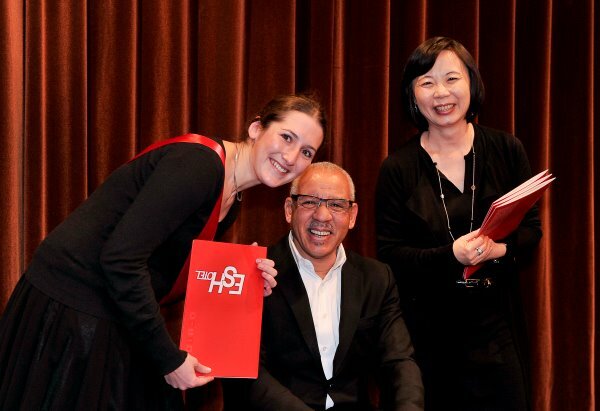 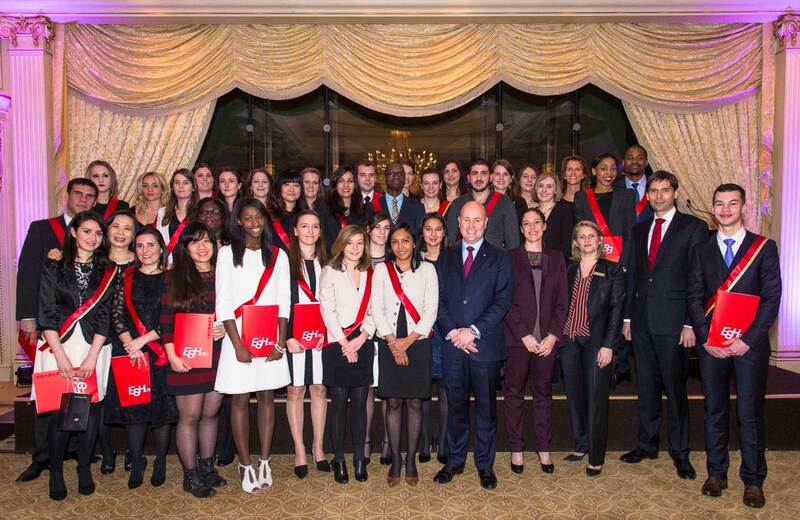 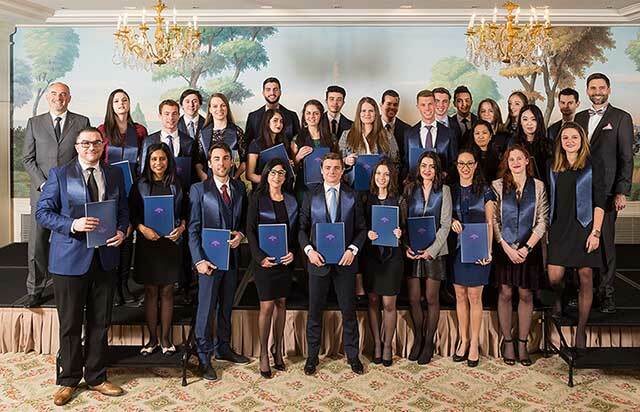 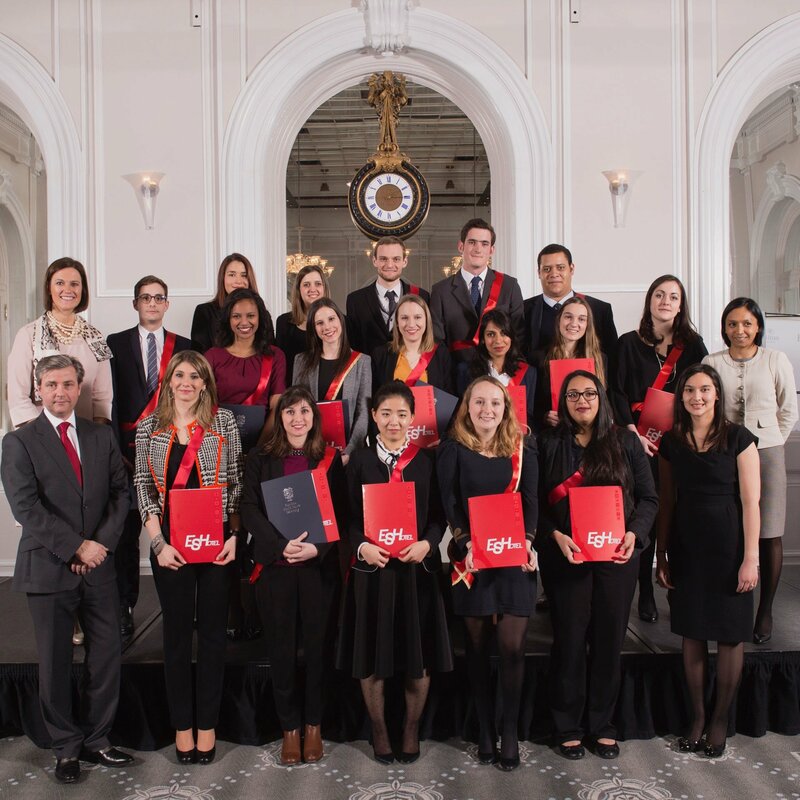 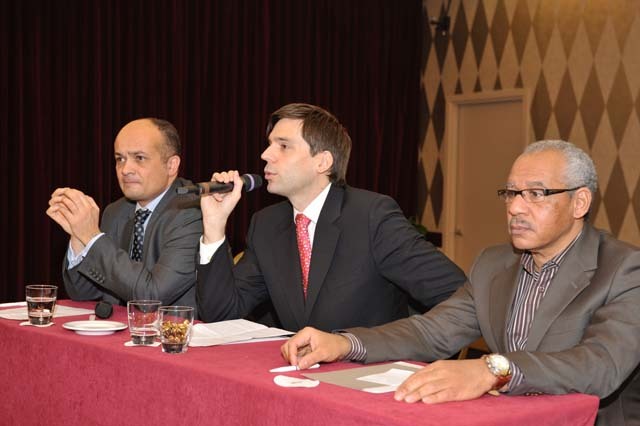 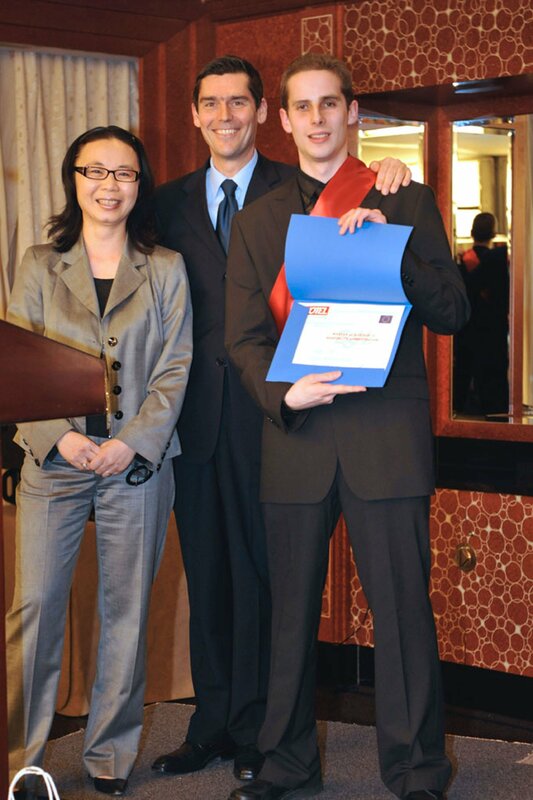 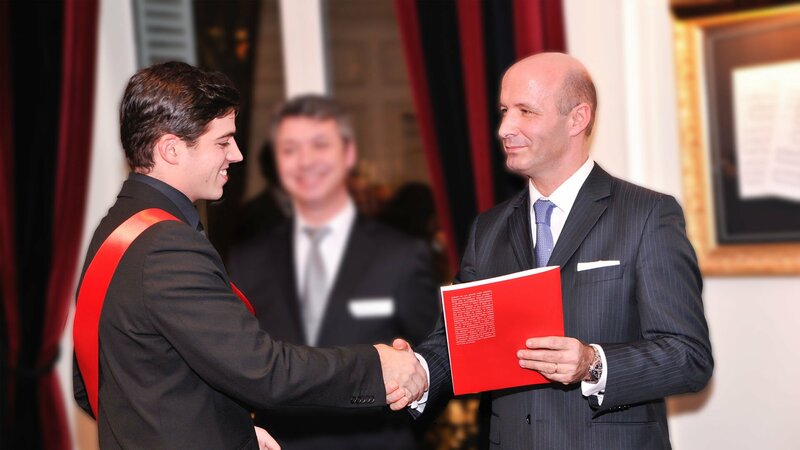 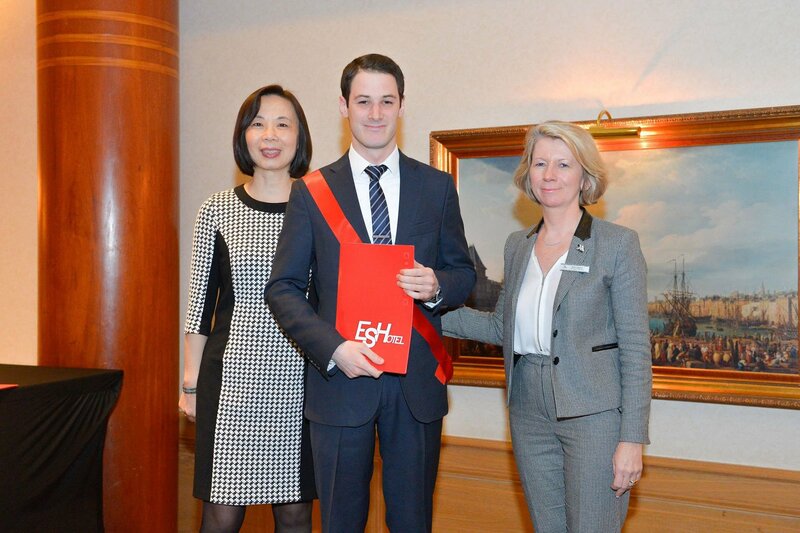 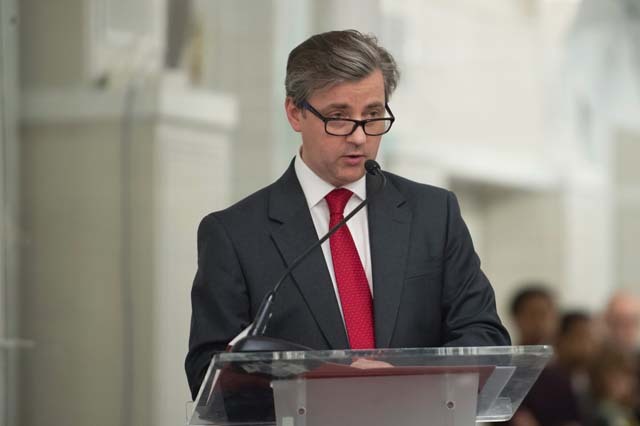 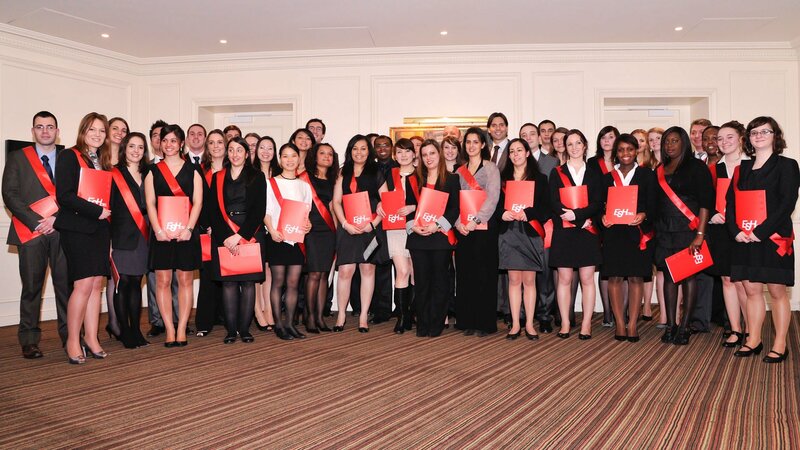 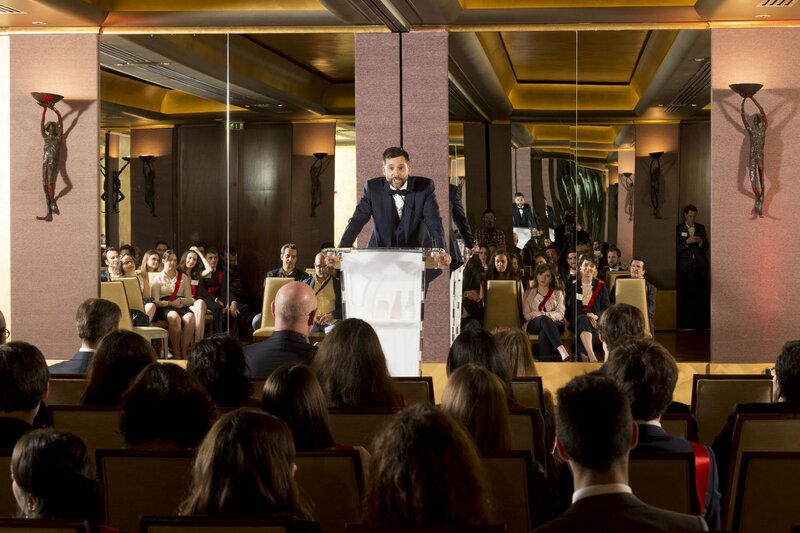 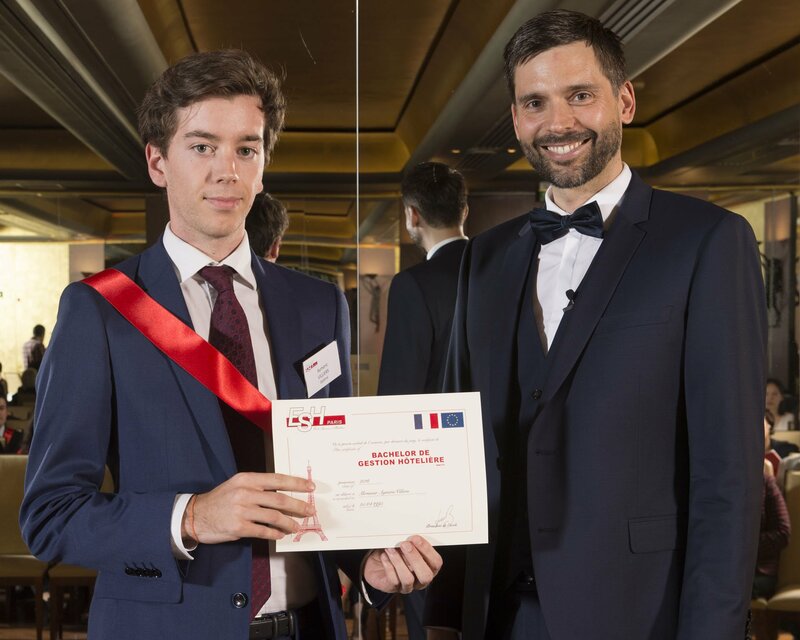 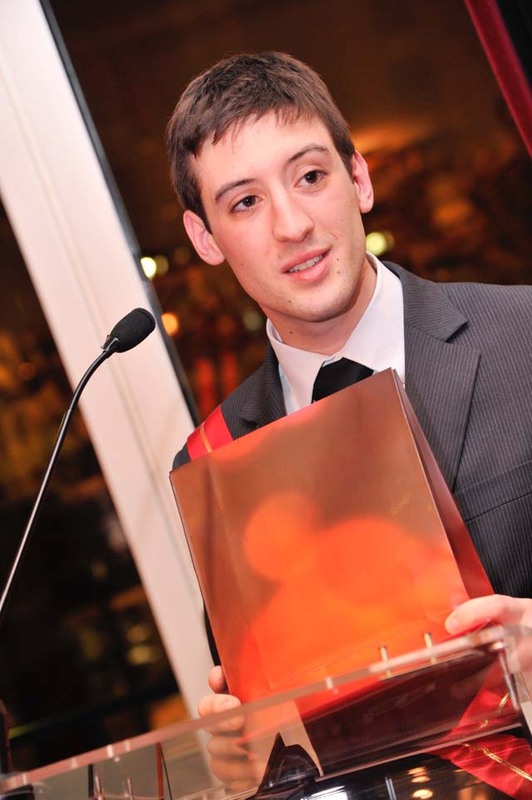 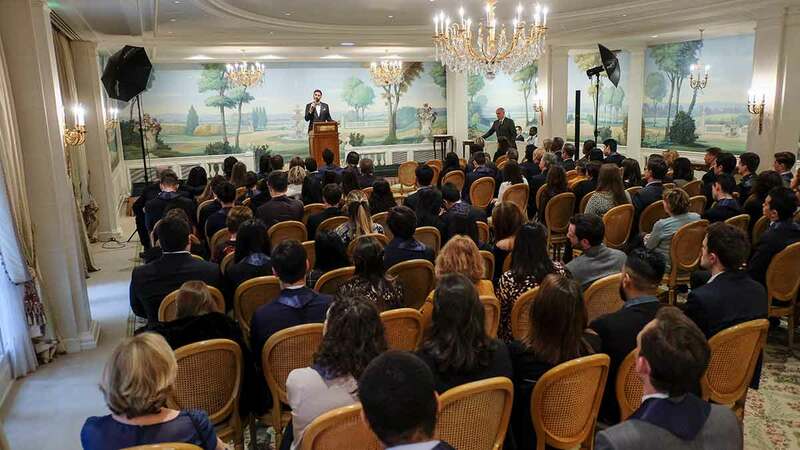 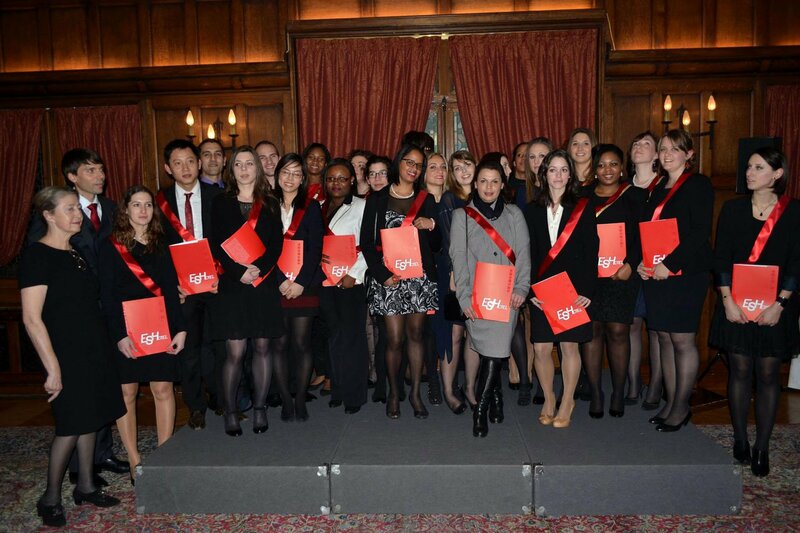 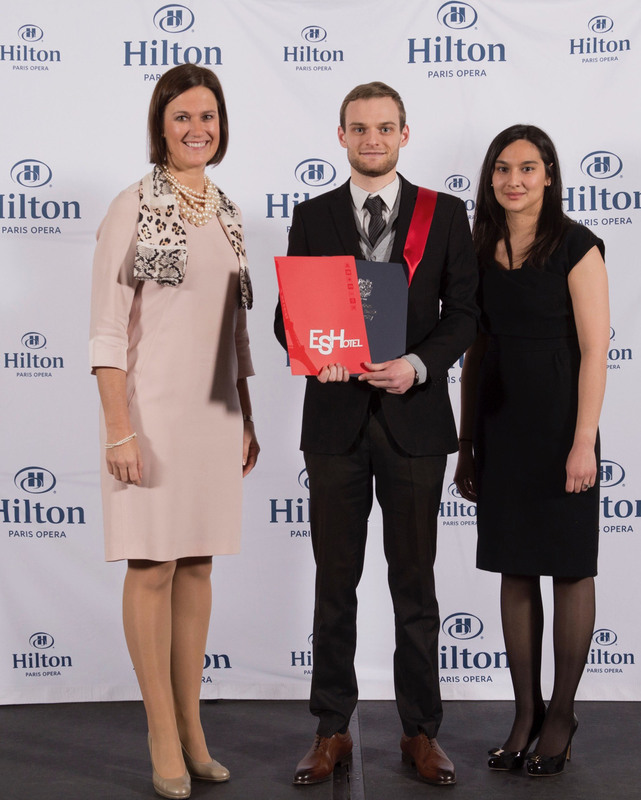 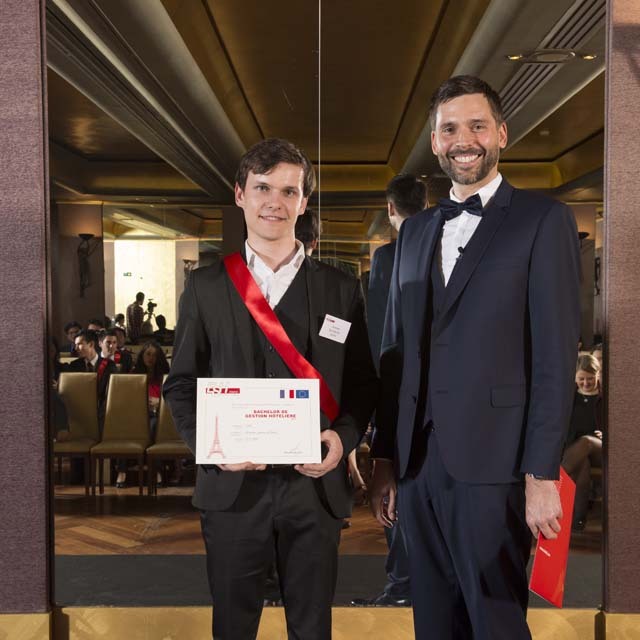 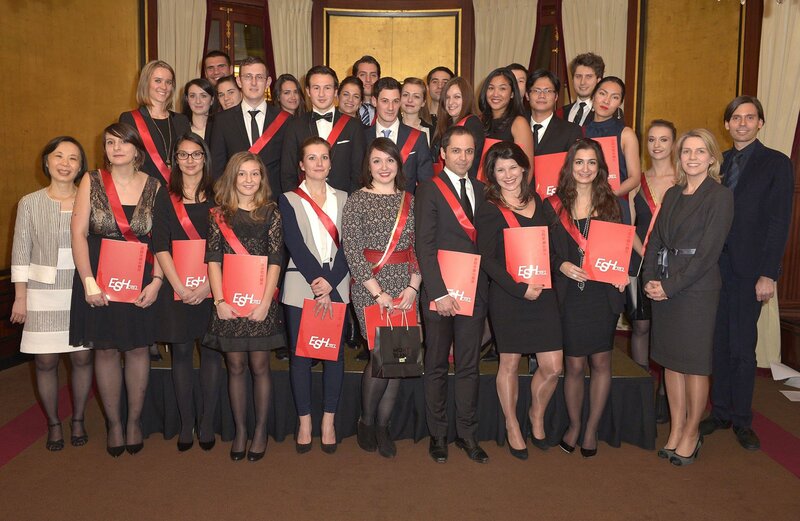 On January, the 17th, 2011 Christophe Laure, General Manager of InterContinental Paris Le Grand, received 40 students graduating in Hospitality Management. 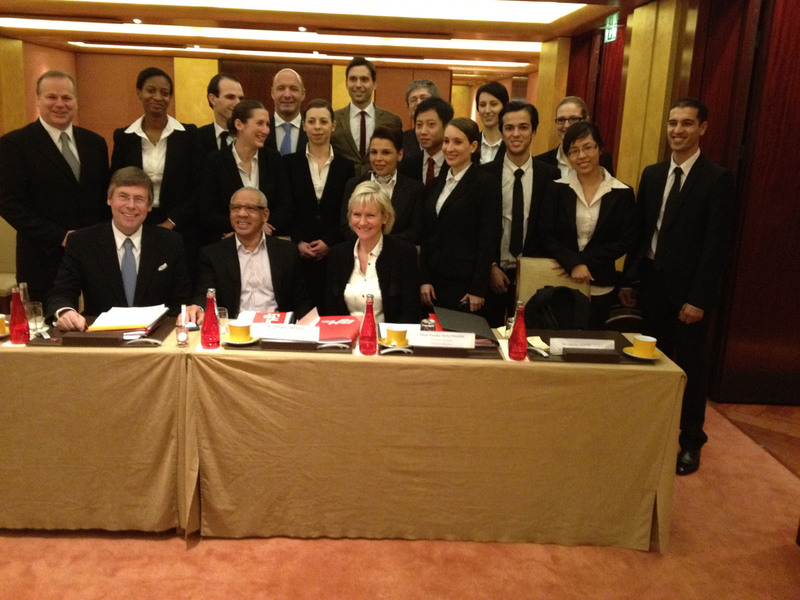 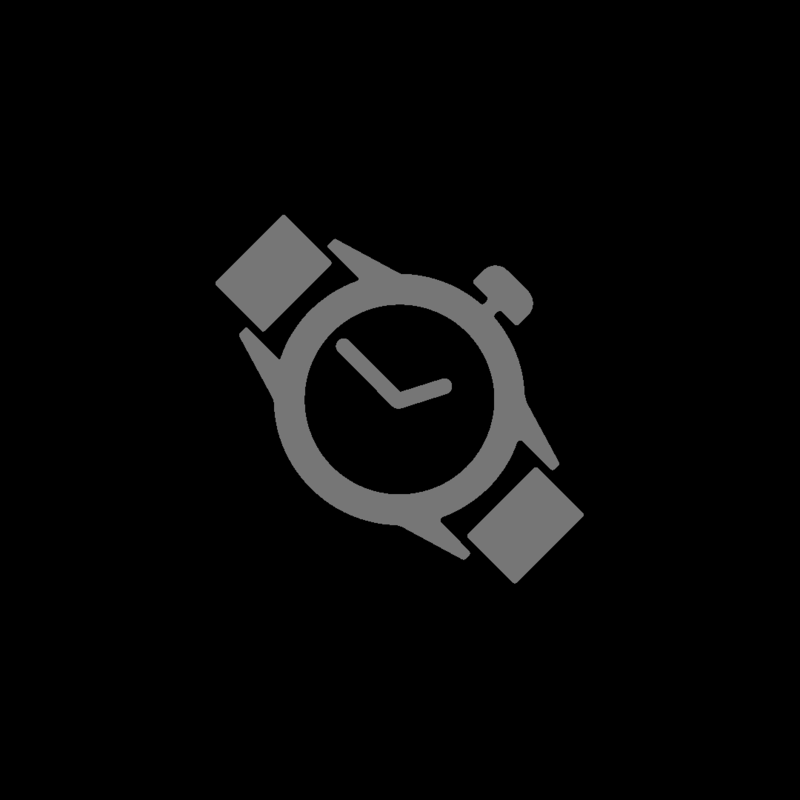 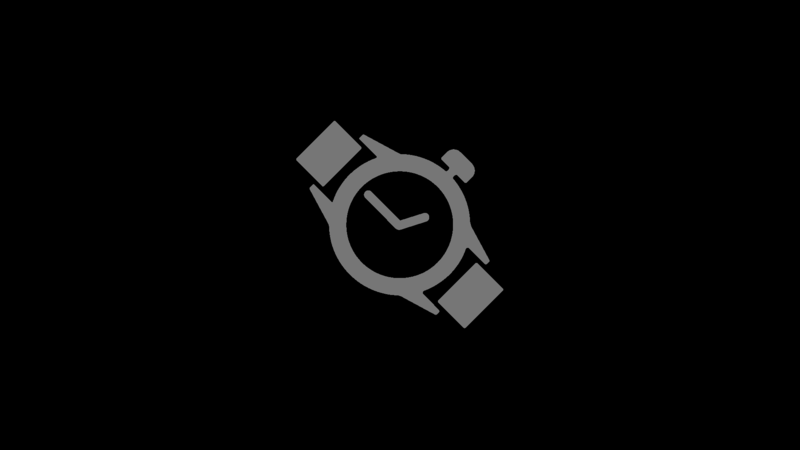 “We are IHG, InterContinental Hotel Group, with over 4500 hotels throughout the world. 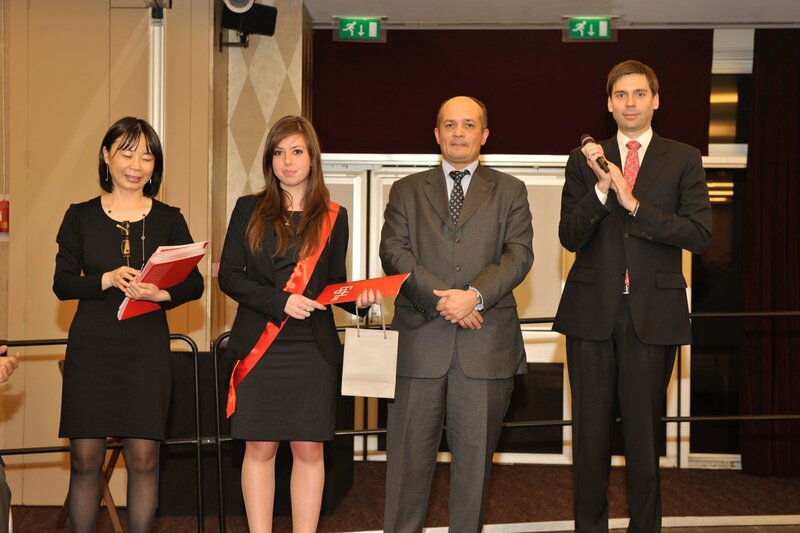 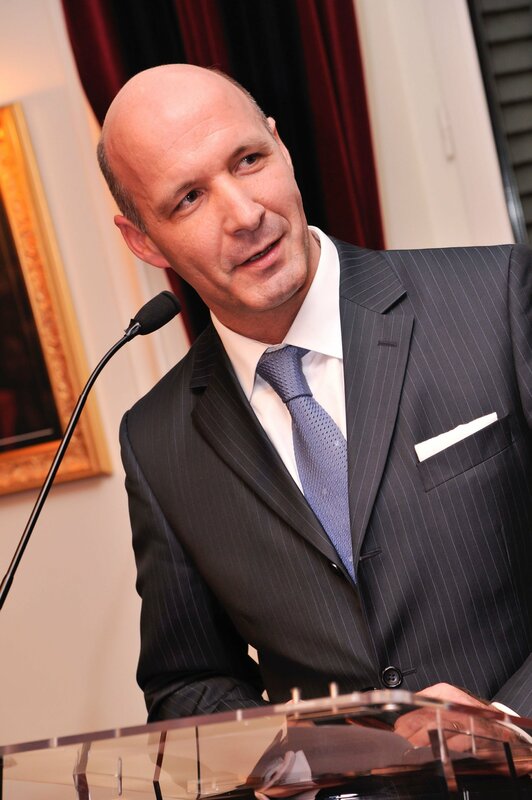 You are all welcome, we need high potentials like you.” Christophe Laure, General manager InterContinental Paris. 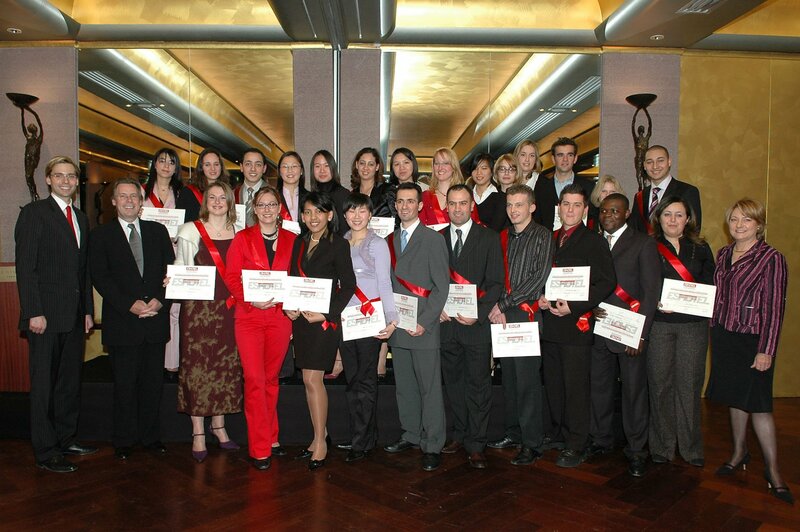 The 2009 graduation ceremony was organised on January 18, 2010 at Concorde Lafayette. 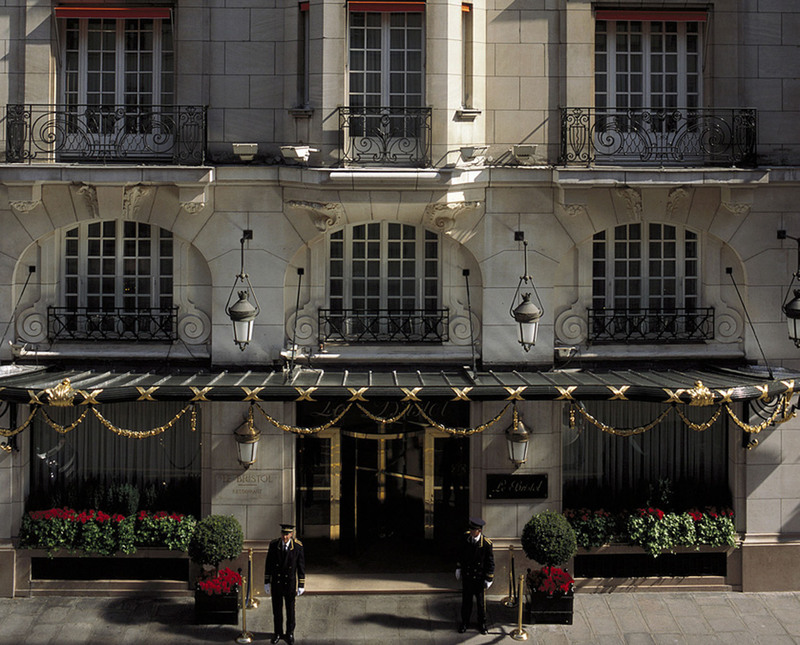 The Concorde Hotels Group was represented by Vincent Mackie, Vice President in charge of Human Resources and Chairman of the 2009 Jury. 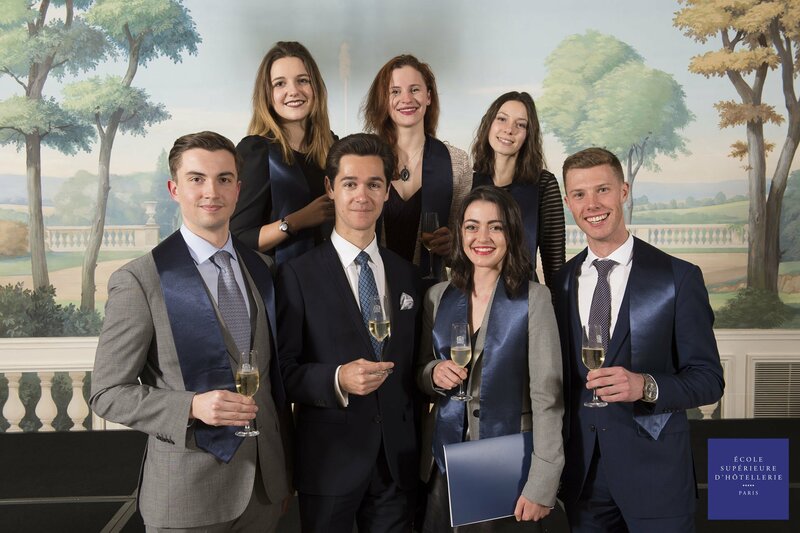 This vintage video of the graduation has been made by our students. 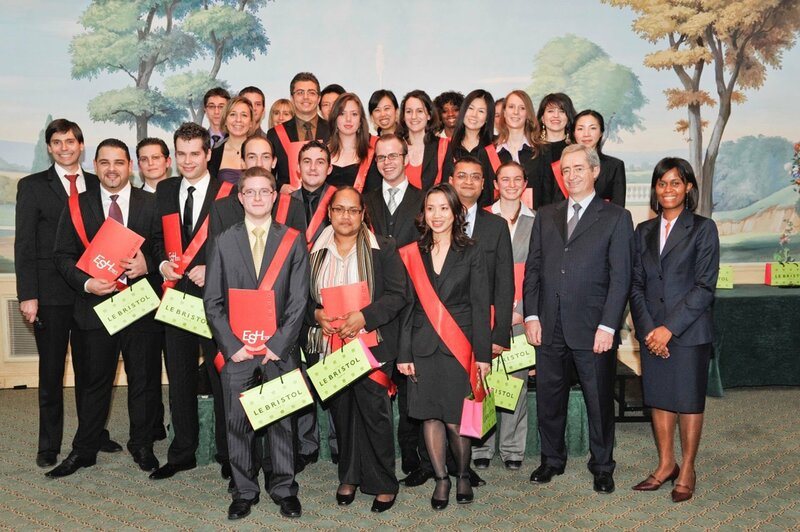 The 2004 graduation was hosted by Grand Hotel and Casino in Enghien-les-Bains, a luxury thermal resort in Grand Paris. 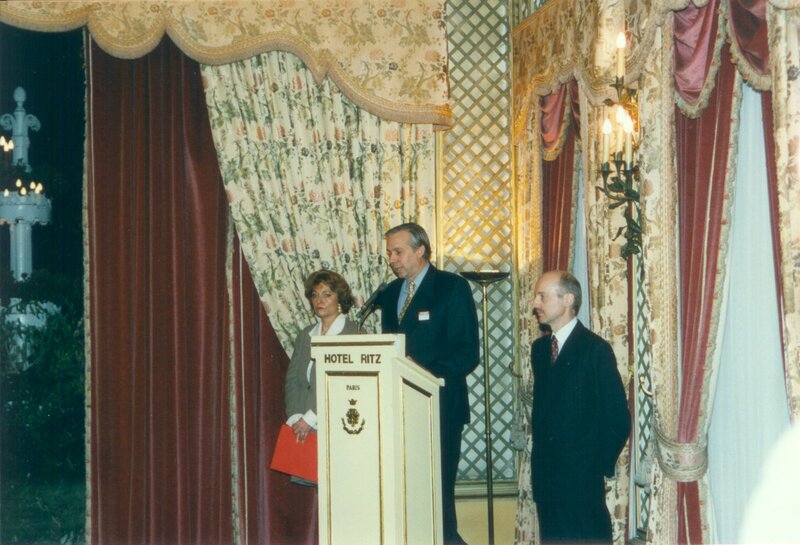 Ludovic Corpechot, General manager of Hotel Napoleon, ideally located close to l'Etoile, was the sponsor of the 2003 graduation. 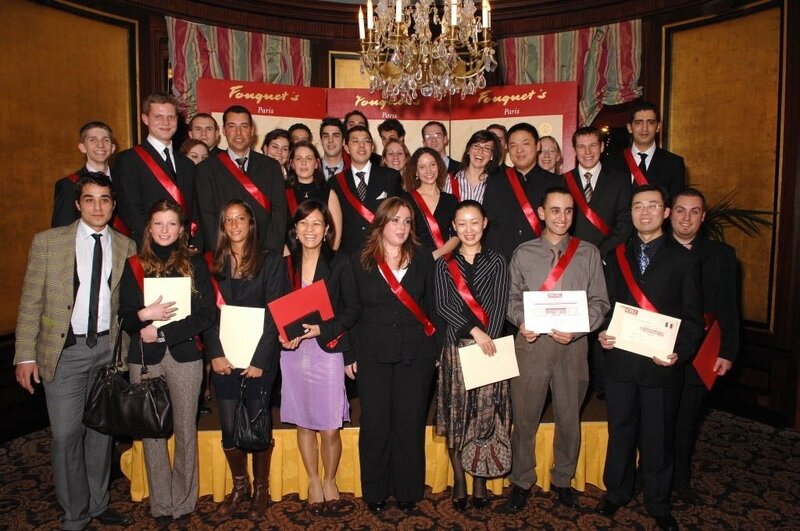 Primo Munoz, area manager for the Hilton group, was the sponsor of the 2002 graduation. 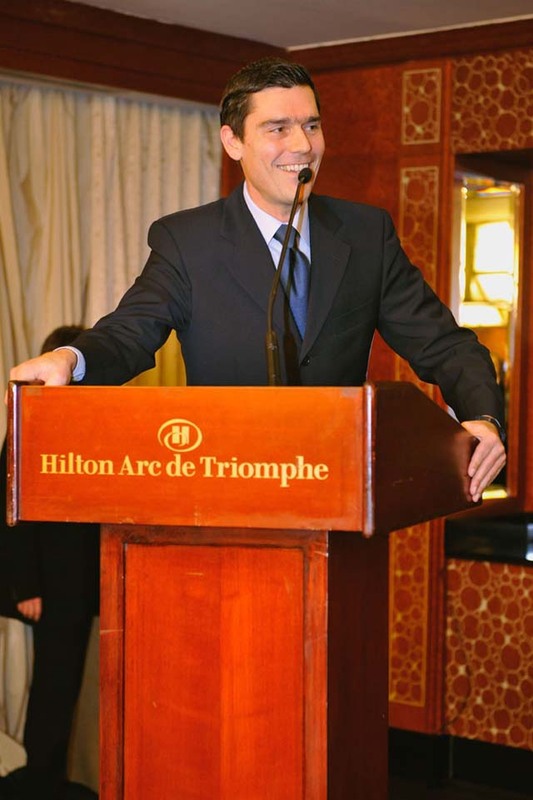 Jean-Luc Cousty was the sponsor of the 2001 graduation at Meridien Etoile. 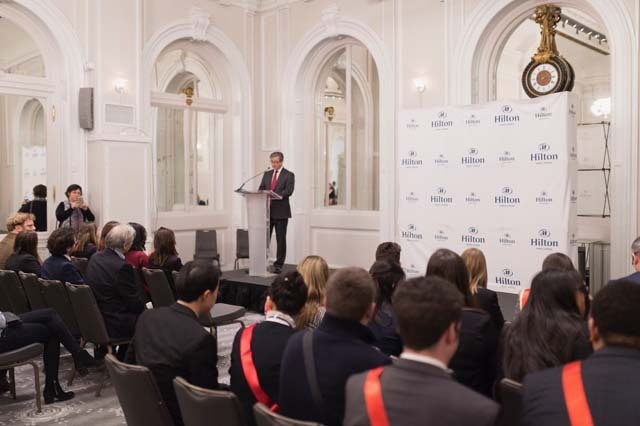 He has been General manager of Hotel du Palais in Biarritz since, until he became general manager of Hotel Lutetia on the reopening. 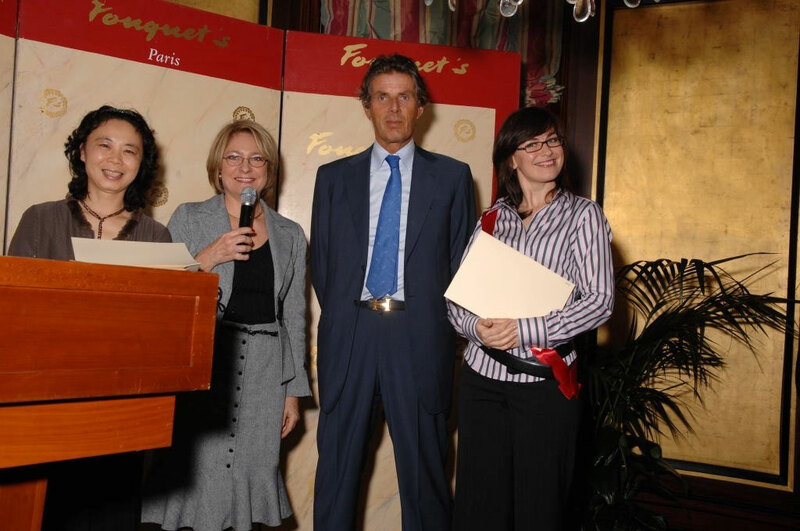 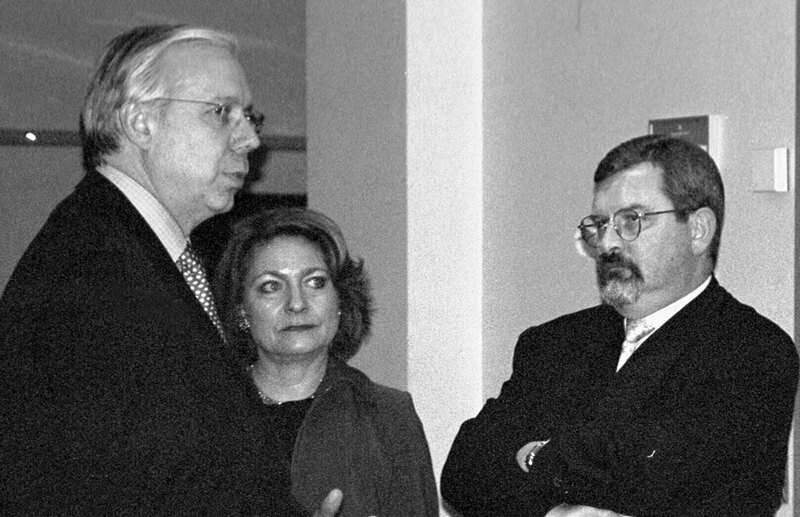 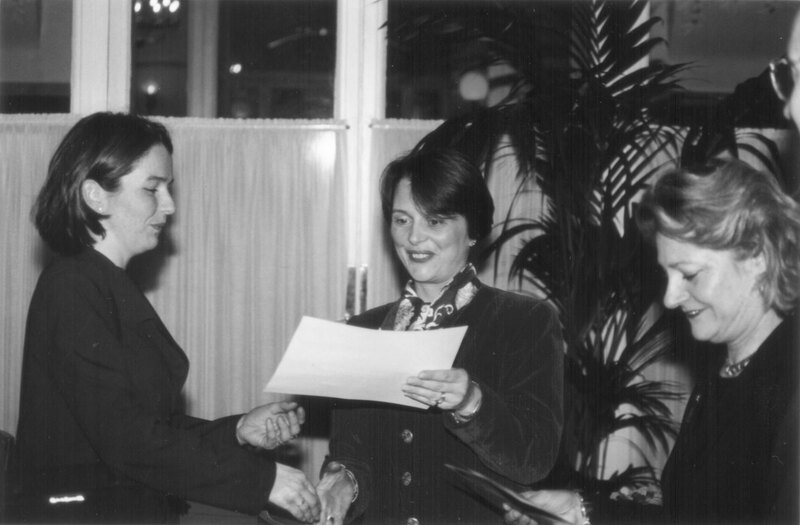 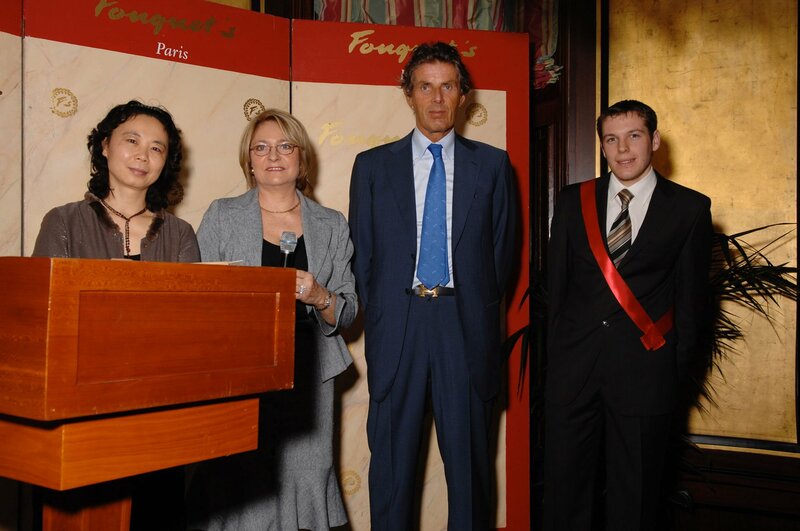 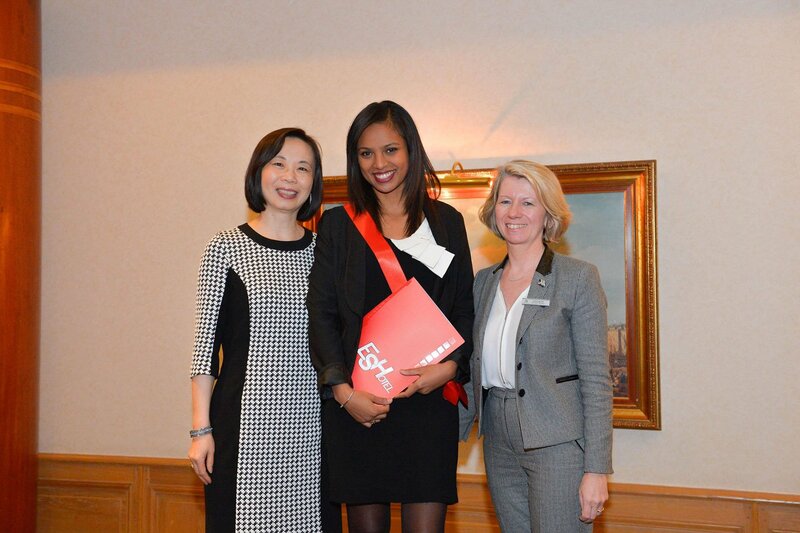 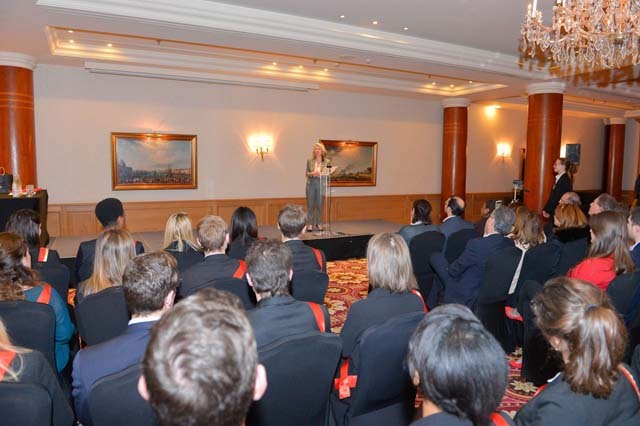 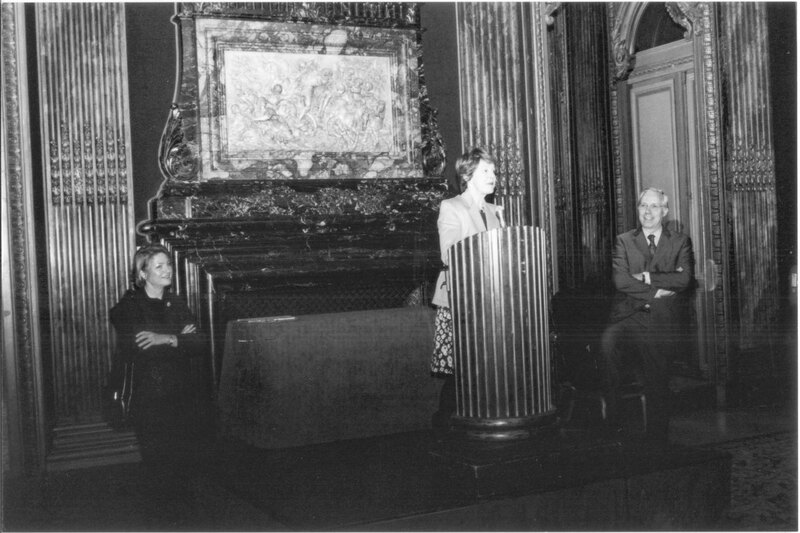 Dagmar Woodward, general manager of InterContinental Paris, was the sponsor of graduation in 2000. 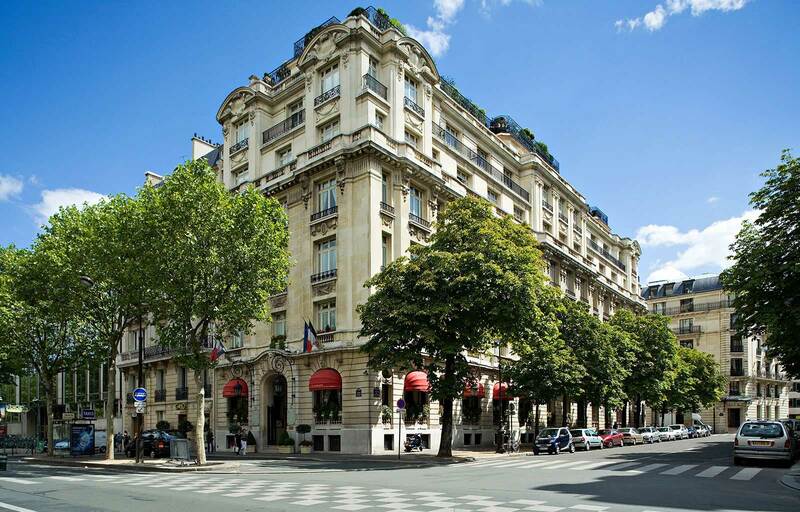 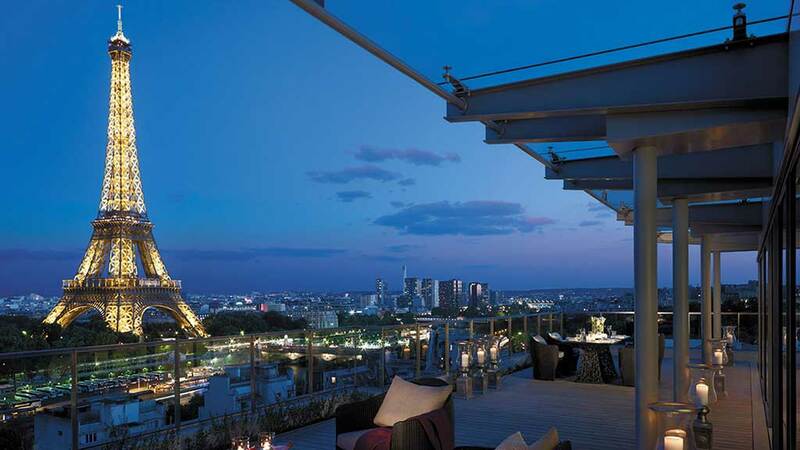 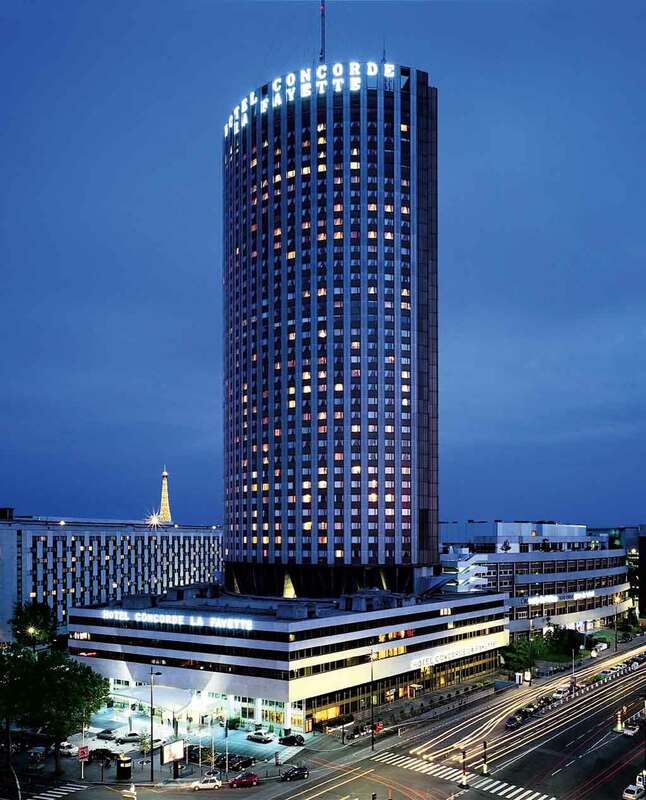 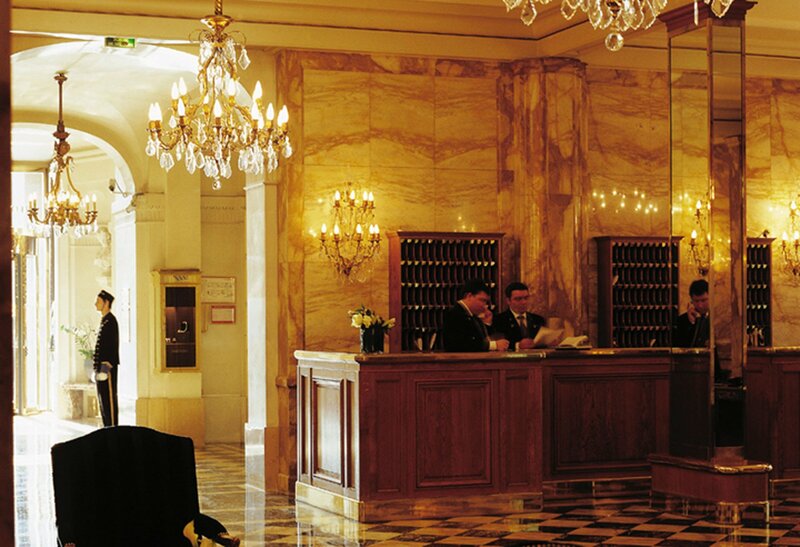 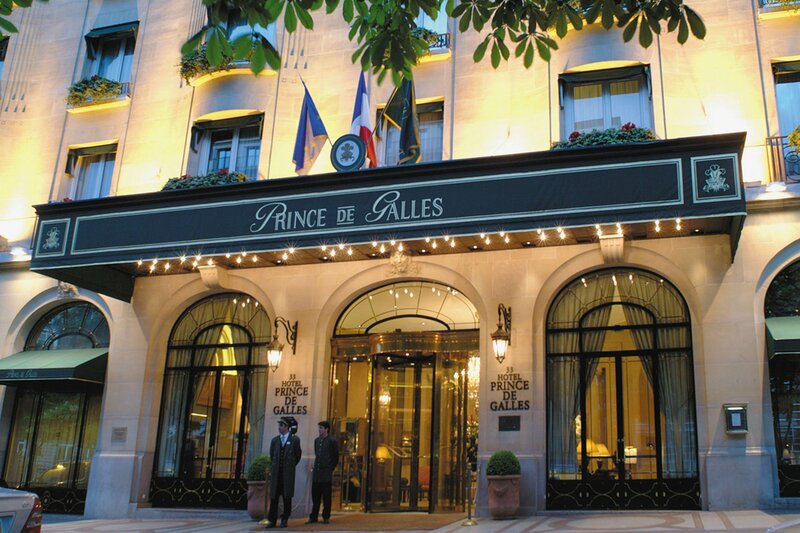 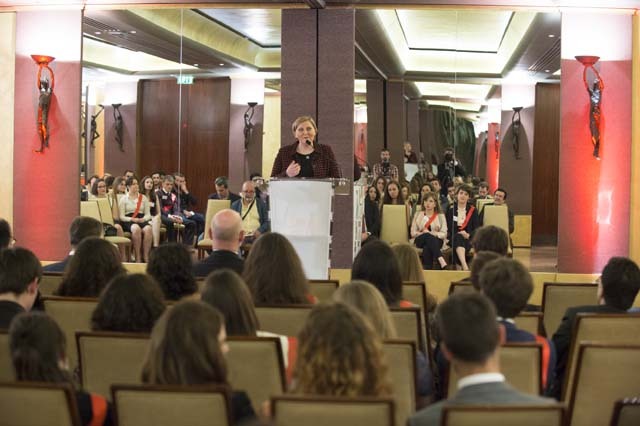 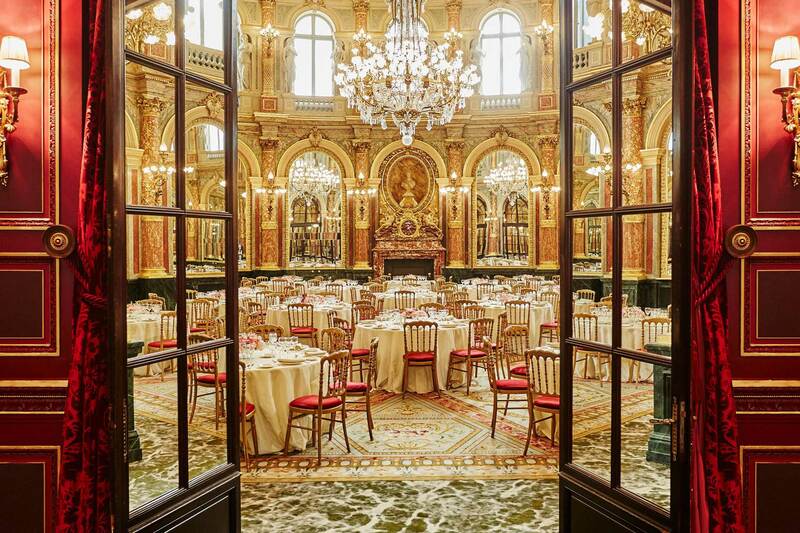 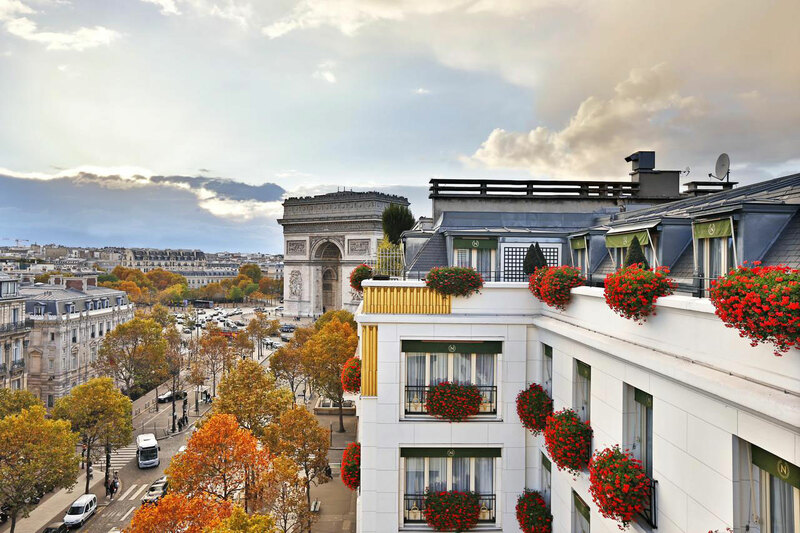 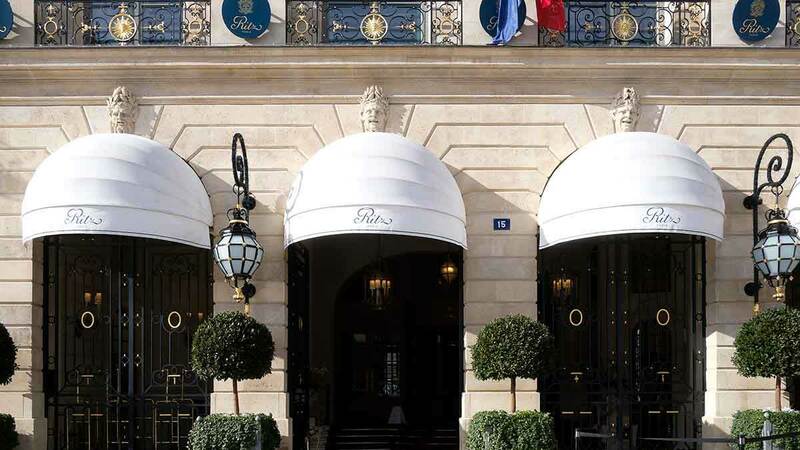 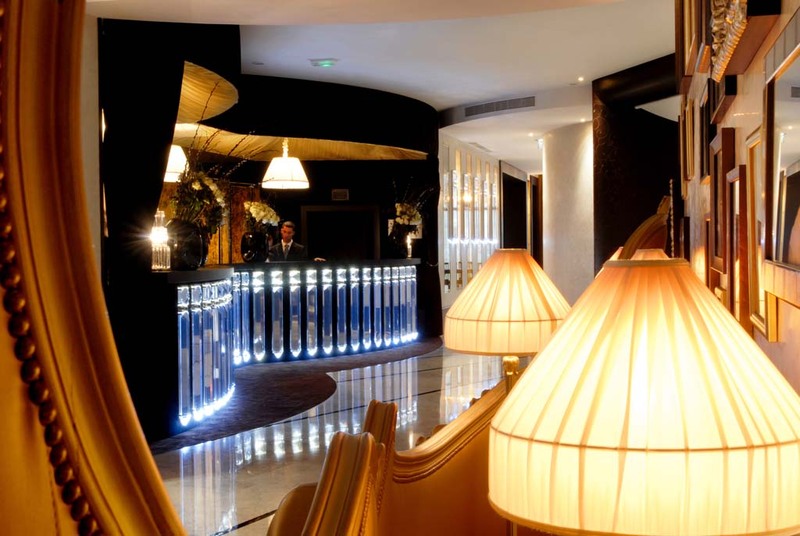 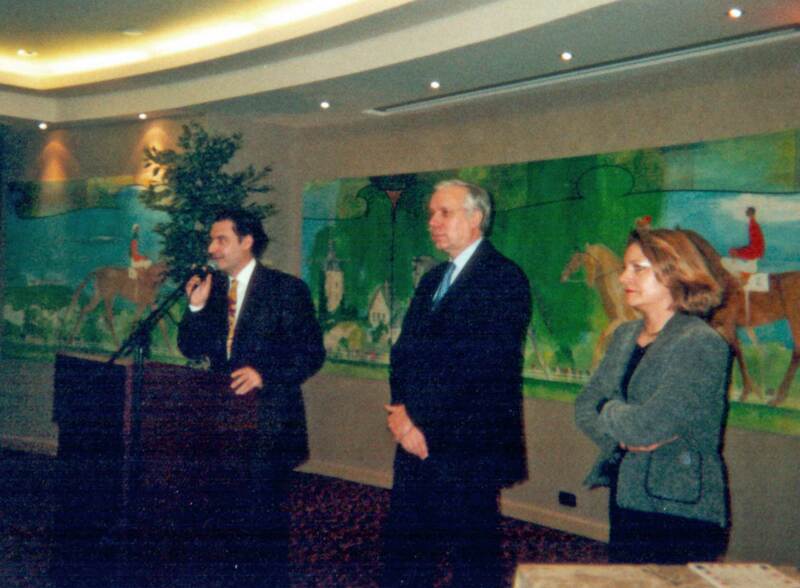 The graduation in 2000 was organised by hotel Prince de Galles on avenue George V.
Madame de Margerie, HR Director of the hotel chain Concorde, was the sponsor of the 1998 graduation at Le Lutetia. The second graduation took place in 1997 at Hotel de Crillon, the historic Palace of the Place de la Concorde between the Champs-Elysees and the Tuileries Garden. 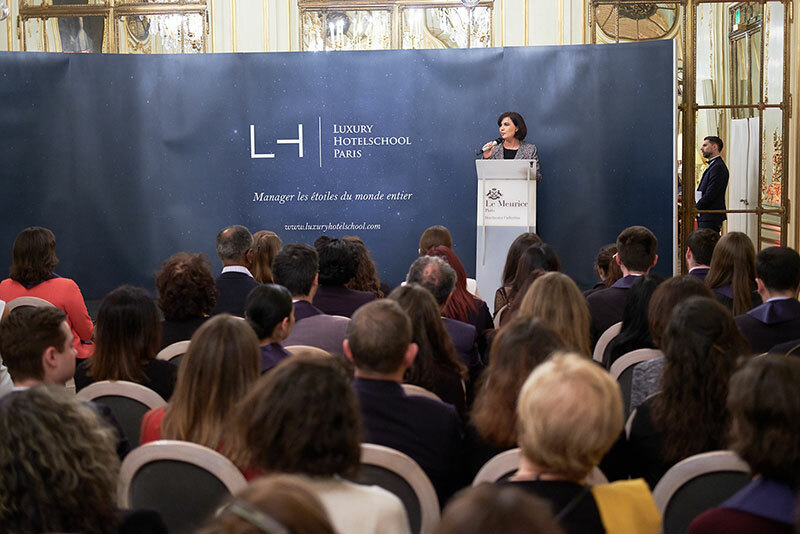 The first graduation of LH Luxury Hotelschool in 1996 was sponsored by Ritz Paris, the historic Palace of the Place Vendôme. 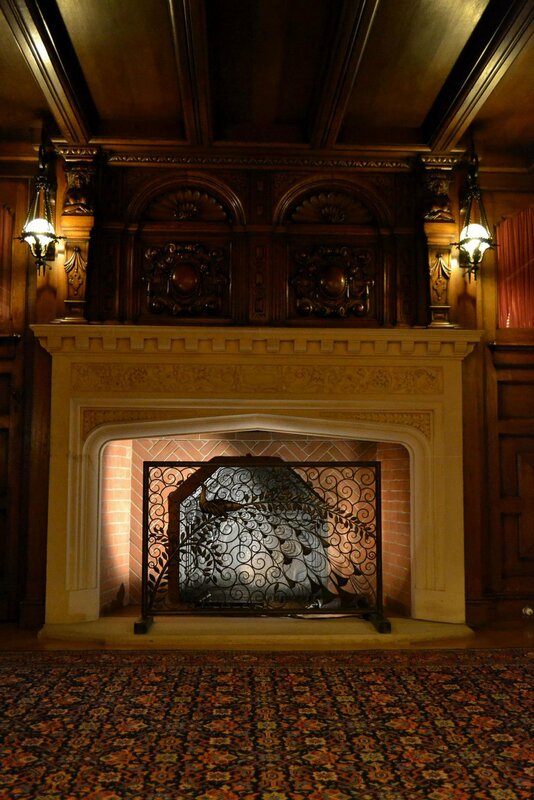 Since its opening, the school was specialise in the luxury hotel industry.